DAVID LE/Staff photo. 4/30/15. 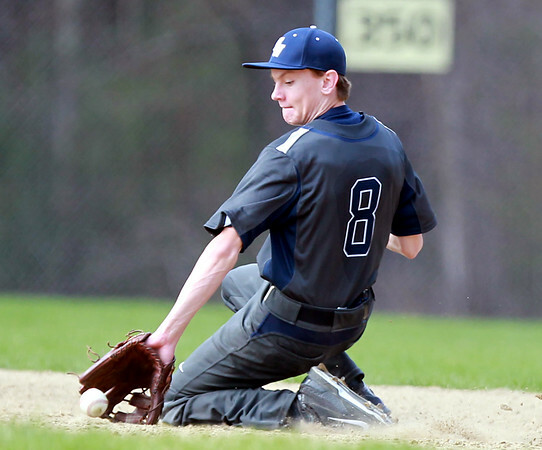 Hamilton-Wenham second baseman Harrison O'Brien makes a sliding backhanded stop and fires to first to cut down an Ipswich runner.